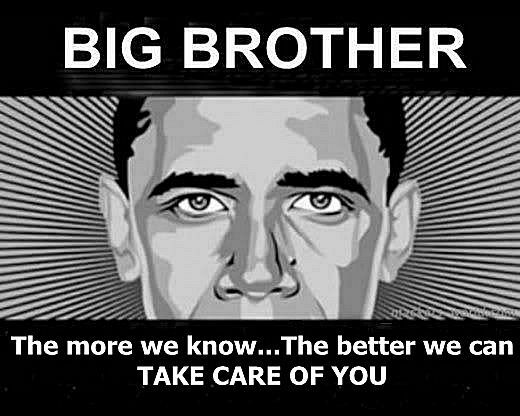 ObamaCare Data Hub = Big Brother Data "Sharing"? Yes, Your Personal Data Can Be Given To "Law Enforcement" And For "IRS Tax Audits"
And yes, it can also be used as an unofficial National Gun Owners Registry. It is called the "Federal Data Services Hub." The Data Hub is a comprehensive database of personal information being established by the Department of Health and Human Services (HHS) to implement the federally facilitated ObamaCare health insurance exchanges. So would you trust thousands of low-level Federal bureaucrats and contractors with one-touch access to your private financial and medical information? 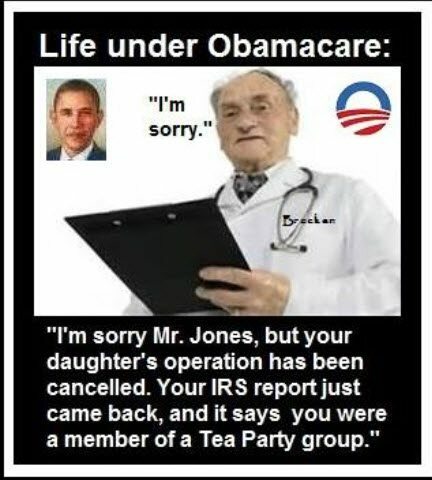 Under ObamaCare you won’t have any choice about whether it happens or not. It is being reported that Maryland's Health Connection, the state's ObamaCare marketplace, has been plagued by delays in the first days of open enrollment for ObamaCare. Users are asked to check off a box that they agree to the terms - but really, that's just a formality. Fact is once you give them your person private information, you're screwed! Sure they say that your personal information submitted with an application will be secure. Sure they say they adhere to what the policy states about how all information to help in applying for coverage and even for making a payment will be kept strictly confidential and only be used to carry out the function of the marketplace. "[W]e may share information provided in your application with the appropriate authorities for law enforcement and audit activities." 1) Should you decide to apply for health coverage through Maryland Health Connection, the information you supply in your application will be used to determine whether you are eligible for health and dental coverage offered through Maryland Health Connection and for insurance affordability programs. 2) It also may be used to assist you in making a payment for the insurance plan you select, and for related automated reminders or other activities permitted by law. 3) We will preserve the privacy of personal records and protect confidential or privileged information in full accordance with federal and State law. 4) We will not sell your information to others. 5) Any information that you provide to us in your application will be used only to carry out the functions of Maryland Health Connection. 6) The only exception to this policy is that we may share information provided in your application with the appropriate authorities for law enforcement and audit activities. The site does not specify if "appropriate authorities" refers only to state authorities or if it could include the Federal law enforcement agencies as well. Neither is there any detail on what type of law enforcement and/or tax audit activities would justify the release of the personal information, or who exactly is authorized to make such a determination. This does not cover the information contained in the Data Hub that is accessible to all according to the Freedom Of Information Act. But as I said earlier, you give them your information and you are screwing yourself! The Federal Services Data Hub is the worse thing that can happen to our Freedom because Information is Power and the Government does not Need to know everything about us! Friends, in an era when the Obama administration has authorized secret domestic surveillance by the intelligence community, and political appointed IRS officials and state tax agencies are using private information for political purposes, its not smart to give all of your information to one source. Today the police can electronically log every license plate that passes by, so yes, the idea of the centralized Federal Big Brother Information Data Hub should be enough to make a citizen think twice about handing over every bit of information to the Federal government. Is the potential for abuse enormous? You bet it is! Fact is, the massive centralized Federal database will include all comprehensive personal information such as your income and financial data, family size, citizenship and immigration status, incarceration status, social security numbers, gun ownership information, vehicle ownership information, contacts both social and business, and of course your very private health information. It will compile files on you based on information obtained from the IRS, the Department of Homeland Security, the Department of Defense, the Veterans Administration, the Office of Personnel Management, the Social Security Administration, state Medicaid databases, and for some reason the Peace Corps. And yes, that includes any groups that may be deemed a threat to the government such as the VFW, the American Legion, the Disabled American Veterans, the Republican Party, and even the Libertarian and the Tea Party. Depending on who is in control of the White House, a threat to the United States may be your membership to the Sierra Club and the Democratic Party. The Federal Services Data Hub will provide web-based, one-stop shopping for anyone who has the desire to pry into a person’s personal affairs. If you were worried about the National Security Agency and a lot of other Federal Government agencies spying on you, just go ahead and give up even more of your private information to ObamaCare Date Sharing program called the Federal Services Data Hub. Then, and only then can you see what happens? Find out if ObamaCare sends that information to your employer, or school, or maybe your insurance company? What happens if they send derogatory information to DMV and you lose your license to drive, or wrong information to Credit Bureaus and it effects your credit rating or you get turned down for loans? What happens if they send your information to the FBI, the IRS, the ATF, or ICE? Maybe they will send it Homeland Security? Can they use that information to stop you from buying and owning a firearm, or how about stopping you from taking a trip to sun and fun in Mexico? Can you see yourself investigated by one of the dozens of law enforcement agencies in the Federal Government? Who do you think will investigate you? You'll know who received your information when the Feds come out and start asking your neighbors pointed questions about you and your family. That's usually how it works before they knock on your door to talk with you.